We're still a long way from Star Wars 9 hitting theaters, but production is set to begin next month, which means that the scripts have been read or are in the process of being read at the moment. Now, a person who claims to know somebody at Lucasfilm has leaked out what sounds like an epic scene from the upcoming Star Wars movie. As with all things that come from unnamed sources, we're going to take this information with a grain of salt. Reddit user 4LOM says that there's a scene in Star Wars 9 that features Finn, Poe Dameron, and Rose Tico. In addition, DJ is back in the fold and is apparently "just as shady as ever," but he's reportedly in deep with the Hutt family. The new leader of the Jabba the Hutts' crime family is Rotta, Jabba's son, and the new scene features the trio together, dining with the Hutt Cartel, which has been compared to the dining scene in The Temple of Doom. It isn't clear if they will be eating monkey brains in Star Wars 9 though. Finn, Poe, and Rose have some serious trust issues with DJ, which is pretty understandable after the stunt he pulled in The Last Jedi. Star Wars 9 is heavily rumored to have a time jump, so it appears that Finn and Rose are still holding a grudge about what DJ did, but Poe sees him as a "necessary evil." The scene with everybody eating together ends abruptly when the First Order storms in, causing everybody to flee, including DJ with Finn, Rose, and Poe. That's all of the information that has been released thus far, but if true, it sounds like an epic way to bring back the Hutt family into the Star Wars universe. As previously mentioned, this is an unconfirmed rumor at this time. It's still really early to be getting information like this about Star Wars 9, but the timing of the leak lends a bit of credibility. However, it should also be noted that J.J. Abrams has been known to purposely leak false information to throw fans off of his trail, which could definitely be the case here. Rotta Hutt coming on board does seem almost too good to be true. We'll just have to wait and see. In other Star Wars 9 news, the working title was recently revealed to be trIXie after originally being called Black Diamond. No reason was given for the name change, but it's only a working title, so there's nothing to worry about there. 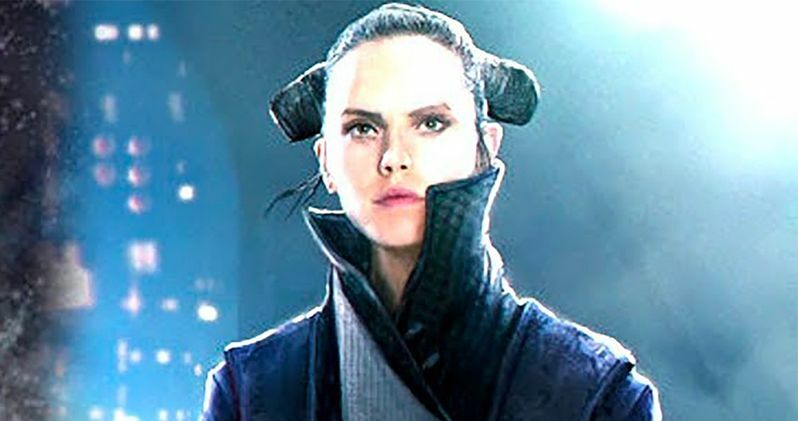 As for the tone of the film, J.J. Abrams has said that he won't let any of the negativity from Star Wars fans surrounding The Last Jedi impact his work on the upcoming Star Wars 9, which means that those Rose Tico haters are about to get a lot more of the character, especially if this new report ends up being proven true. Star Wars 9 hits theaters on December 20th, 2019 and you can read the report for yourself over at Reddit.